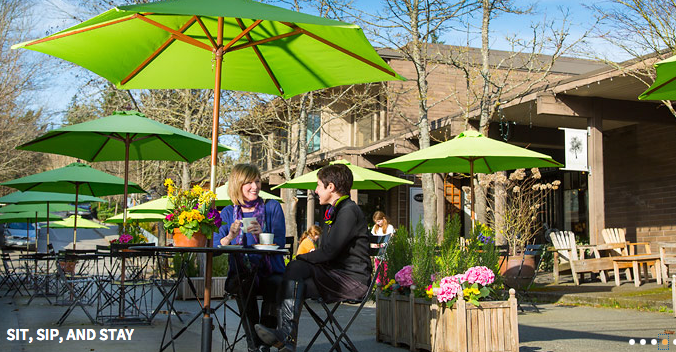 The City, the Bainbridge Island Chamber, the Downtown Association and other community partners are inviting Bainbridge residents and business owners to help create a toolkit to tell the Bainbridge Island story far and wide. This image of Bainbridge – and the Seattle skyline – graces the Chamber’s website. In this podcast, Kellie Stickney of the City and Rex Oliver, President and CEO of the Chamber, explain the upcoming 3-day creative process. 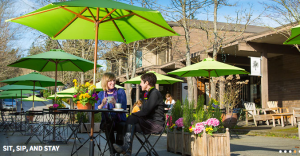 Consultants Arnett Muldrow Associates will help community members develop a Bainbridge brand that can be used for the purpose of economic development, inviting visitors, and enhancing community cohesion. They earned kudos for similar projects in WA communities like Gig Harbor, Ellensburg, Wenatchee and Port Orchard. You can get involved by taking a brief online survey and then attend public input meeting on Tuesday, June 9 from 5:30 pm to 7:00 pm, and the outcomes “reveal” on Thursday from 6:30 to 8pm. Each is at the Bainbridge Island Museum of Art (BIMA). Cover designs for visitor guides, etc. A cyclist sharing the road at Waypoint Park is one of a dozen images on the City’s home page. According to the City’s Community Engagement Specialist Kellie Stickney, “This process is about bringing the community together to speak in one voice in a way that will create increased collaboration and enhanced economic opportunities for local businesses.” Kellie mentions that it’s a timely project to help commemorate the 25th anniversary of the local vote to create an island-wide city. For more information on the community identity process contact Kellie Stickney, Community Engagement Specialist by email. Credits: BCB host: Reed Price; BCB editor and publisher: Barry Peters.